Both the forex and technology industries are changing and accelerating at an unprecedented rate. As regulation shifts to keep up with the growth, brokers are competing to unveil the latest technological advancements. As such, most have now expanded their offerings to include on-the-go trading through mobile apps. The challenge in the competitive field of retail trading, therefore, is to create an app that stands out from the pack – one that simultaneously adheres to regulatory changes while also meeting the needs of a new trading generation. In short, it needs to be an app that evolves with the times. This challenge was at the heart of FXTM’s technological pursuits in 2018. The brand is one of the fastest-growing brokers of recent years, with more than one million registered clients by the end of Q2 2018. It also received widespread acclaim, picking up awards for best customer service and best trading conditions in 2017 and 2018 respectively in the World Finance Forex Awards. Furthermore, among the broker’s major milestones last year was the release of its first mobile trading app, FXTM Trader. But instead of rushing to release it as quickly as possible, FXTM chose to take its time and build the app in house to ensure it was tailored to the specific and localised needs of its growing client base. Over the past year, a broker’s readiness for change has become absolutely essential. As regulatory bodies across Europe and beyond adjust regulations to meet increasing privacy and communication concerns, brokers must be prepared to evolve for the reassurance of their clients. For instance, January 2018 saw the introduction of the MiFID II framework, which ensures that the foreign exchange market reports and trades with transparency. The European Securities and Markets Authority (ESMA) has also implemented regulatory changes, requiring brokers and those accessing markets to impose trading restrictions. This includes limitations on products related to contracts for difference (CFDs) for retail clients, which are complex instruments that come with a high risk of rapid capital loss as they provide higher leverage than traditional trading. In December 2018, ESMA announced that these restrictions – which include limits on leverage between 30:1 and 2:1 – would extend for a further three months from February 1 of this year. As more rules are implemented in 2019, the field of compliant brokers may narrow – potentially making a client’s choice of broker simpler. Standing out from the crowd is FXTM, which recognises the high level of risk involved with trading leveraged products like forex and CFDs, and complies with all updated regulations for transparency and customer assurance. For example, last year it became obligatory to promote the fact that 90 percent of European retail investor accounts lose money when trading CFDs with the broker. 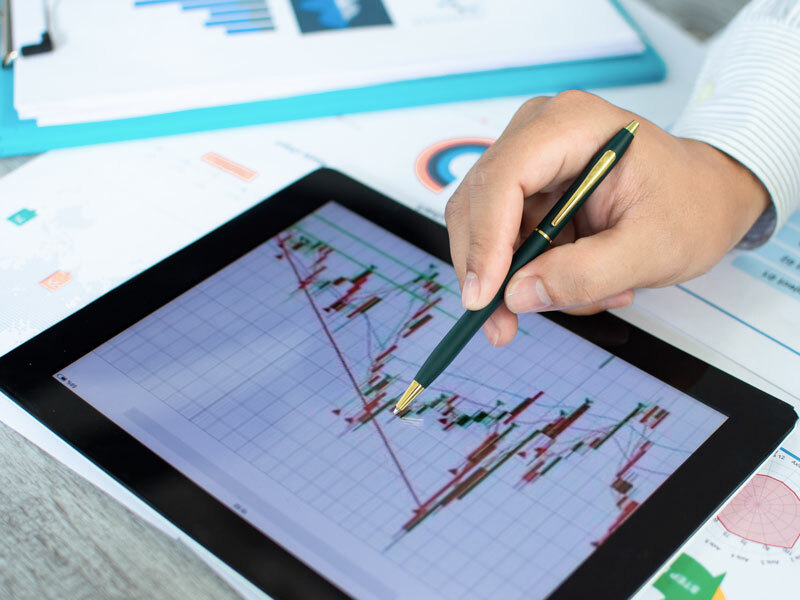 Moreover, all marketing material must now come with a clear message for potential clients, urging them to consider whether they understand how CFDs work and whether they can afford to take the high risk of losing their money. Fortunately, technology is on hand to support the way brokers adapt to regulation. Regulatory technology, or ‘regtech’, aims to tackle the increased security risk associated with digital products, and is becoming more prolific in the industry. Using cloud computing, regtech tracks transactions online, thereby allowing for irregularities to be recognised in real time. Together, machine learning and data storage on the cloud allow financial institutions to identify and combat threats at an early stage. Challenges aside, tightened regulation and improved safety have opened the door to the mobile market for many. This is because increased security reassures investors that their funds are as secure on mobile as they are on desktop. Advancements in mobile technology have reinforced this further; for example, the release of the iPhone X in September 2017 introduced Face ID alongside fingerprint unlocking as a new way for users to safeguard their phone’s data. Equipped with regulations to protect mobile clients and the security measures to keep funds secure, mobile trading is poised to continue expanding over the coming years. This propensity for growth was evident in a 2018 study conducted by JP Morgan. In a survey of 400 traders, it was discovered that 61 percent were considering mobile trading. The percentage notably increased from the previous year, when just 31 percent of traders considered using a trading app. The market is swiftly meeting this rapid increase in appetite for mobile trading. Broker-agnostic platforms including MetaTrader 4, NetDania, and Trade Interceptor have grown in popularity accordingly. Alongside them, individual brokers like FXTM use in-house teams to build and release their own trading apps. The mobile trading market targets a particular demographic of the forex trading industry. According to a study by BrokerNotes, 43.5 percent of forex traders are aged between 25 and 34, and this figure is on the rise. This Millennial target market is notorious for its heavy phone use. According to KDM Engineering, 43 percent of Millennials check their phone every 20 minutes, while the average user interacts with their phone more than 2,600 times a day. Adapting to this particular demographic means meeting the needs of a generation that is accustomed to quick, user-friendly applications. Client service has remained a core value for FXTM since the brand’s foundation in 2011. In addition to the awards received from World Finance, the broker was recognised as the top customer service provider at the ninth Saudi Money Expo in 2016. Among its impressive features is multilingual customer support, with fully trained customer service representatives readily available should clients require any kind of assistance. The feedback is positive: over 90 percent of FXTM clients are pleased with their experience, according to statistics checked by PricewaterhouseCoopers. FXTM is determined to carry its high standard for customer satisfaction through to its mobile app now that it has been released. At present, the in-house team at FXTM is focused on creating and maintaining a trading app for those who expect fast access to their favourite trading functions. The FXTM Trader app, which was released in December 2018, was created following rigorous research into how FXTM traders want to interact with their trading platform. The functions that traders used the most were prioritised in a user-friendly and intuitive interface. FXTM Trader’s navigation system was also tweaked until it met and exceeded the company’s user-friendly design standards. In order for the app to become indispensable, it is designed to be personal and customisable. For instance, a user can arrange the FXTM Trader interface in a way that meets their specific trading style and needs. Clients can select the instruments they want to track, choose the chart type that suits them best, and focus on the particular time frame they want to monitor. Key statistics are accessible in a few quick taps, displaying balance, margin and profit in a user-friendly client dashboard. Traders can also swap between the administrative centre and live markets, going from managing their account details to taking long or short positions in a matter of seconds. The use of artificial intelligence (AI) in the forex industry really started to increase in 2018. While the capacity for AI in mobile trading apps is yet to be fully explored, it’s already clear that the technology will play an essential role in the future of mobile trading. In response, most ambitious forex brokers now have their own purpose-built mobile apps, but they have become relatively homogenous. The next big area of differentiation, it seems, will come in the form of personalisation that’s driven by AI. From early AI-supported education and assistance in a customer’s journey, to trade ideas and personalised trade analysis for active clients, AI is set to revolutionise our ability to interact with clients as individuals. Most brokers still see significant trade volumes on desktop, but AI tech is poised to facilitate smoother customer experiences and therefore accelerate the move to mobile-only. These changes won’t happen overnight – the industry is still getting its head around this hugely complex topic – but all signs point to AI on mobile apps as being the next big frontier for the forex industry. It should come as no surprise, then, that forward-thinking brokers like FXTM are already starting to explore ideas around how AI could be applied to various aspects of their products and services. The full potential of technology in the forex industry is yet to be realised. However, we are gradually seeing how technology can create a personalised experience for clients. The customised approach will interlace customer experience with state-of-the-art trading capabilities, thereby achieving high levels of customer satisfaction. Furthermore, being awarded the Best Trading Experience accolade in the World Finance Forex Awards 2019 is a testament to FXTM’s technological pursuits so far, giving the broker that extra drive to continue developing and perfecting its products and services for the trader of today.